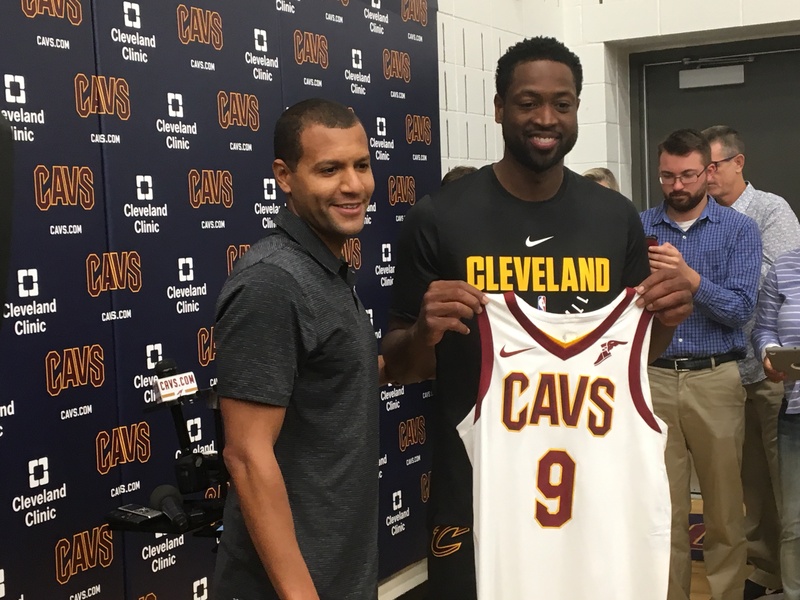 INDEPENDENCE, OHIO– Dwyane Wade is officially the Cavaliers’ starting shooting guard, head coach Tyronn Lue announced during his media availability on Monday afternoon. Lue said he wasn’t entirely sure about minutes for tomorrow’s preseason game against the Chicago Bulls, but the game would pretty much be treated like a regular season contest, including when it comes to the starting lineup. Wade, Derrick Rose, LeBron James, Jae Crowder and Kevin Love will be the Cavs’ starting five to begin the season, a decision that Lue said he came to over the last couple of days. Ever since the Cavs acquired Wade following a buyout agreement with the Chicago Bulls, there’s been plenty of speculation about whether or not Lue would start him over J.R. Smith. A couple of weeks ago, Smith said that he was not concerned with his role as a starter as that was a coaching decision, and that it would only make the team stronger (he also offered up this colorful quote). Along with the movement to the starting lineup, Lue said that Rose would primarily run point guard for the second unit as well, rather than Jose Calderon or Dwyane Wade. Lue’s goal is to have Rose push the pace in the second unit, similar to the way he will with the starters. Berkshire Girls Soccer Finishes 16-0 Perfect Regular Season!